Hillary Clinton email, Benghazi Congressional testimony: May 18. 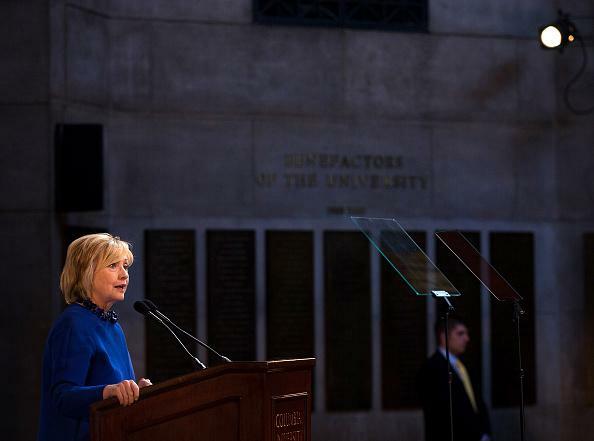 Hillary Clinton at a Columbia University appearance on April 29. South Carolina representative Trey Gowdy leads the committee in question, whose inquiry into the 2012 Benghazi deaths of Libya ambassador Christopher Stevens and another foreign service officer has been cautious to the point of alienating the right-wing writers and activists who have insisted since the days after the attack that it was a consequence of grave executive-branch negligence and malfeasance. More moderate news outlets (like Slate), meanwhile, have treated the issue of Clinton’s seeming circumvention of transparency rules via private email as a potentially serious transgression (and a realer threat than Benghazi to her 2016 presidential run). Her upcoming appearance thus seems likely to be watched closely by observers from all over the political spectrum.